Many people take gutters and the important role they play in preventing water damage for granted. Without gutters that are unobstructed and in good working order, any rain that drips down from the eaves of a house would drip onto walls or seep into the house’s foundation, causing leaks in the roof and potentially disastrous water damage to the house’s masonry. It is, therefore, of grave importance that you always ensure your eavestroughs are in good condition. 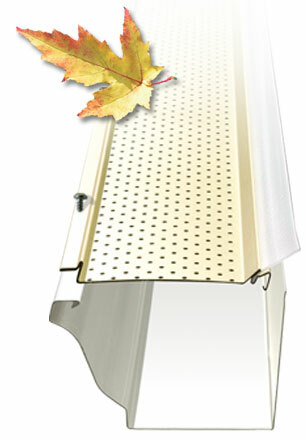 Due to standard wear and tear, eavestroughs will get damaged over time. 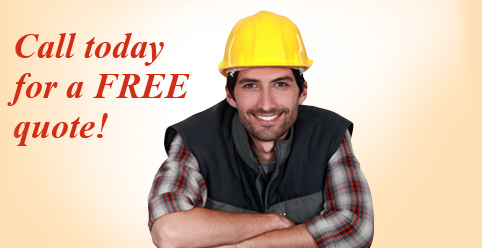 When you see them begin to wear down, you should immediately call one of our pros for eavestrough installation. Below are a few ways you can tell when its time. Sagging Eavestroughs – This is one of the easiest signs to spot, because gutters that are sagging or even pulling away from the house because of excess weight stick out like a sore thumb. Gutters are meant to neatly send water and debris, and sagging gutters are indicative of an old and damaged eavestrough. Rust – This is another sign that’s easy to spot from the ground. It is normal that the eavestrough gathers rust over time, but it should be replaced when it does. Pools of Water – As stated above, gutters are meant to keep water from dripping straight down and forming pools that can seep into the foundation. Because of this, pools of water on the ground under the gutters signifies the need for a new eavestrough installation. Cracks – Once a year, you should get a ladder and investigate your eavestrough. Even small cracks can develop into large problems, so any cracks that you notice might mean you require new eavestroughs. Paint Flecks – While you are looking at your gutters, take a look at the paint on and around them. If it is peeling off, it is likely indicative of water damage from the eavestrough. Water Marks Below the Eavestrough – Obviously, the water from the eavestrough is not meant to leak out and seep into the house. If water marks are visible on the house directly below the eavestrough, it is not doing its job and needs to be replaced. You may wonder why these issues call for installation of a totally new eavestrough instead of repair, and it is because it is easier and cheaper to put in a new gutter than to painstakingly repair the metal. Alliance Trust Aluminum has been helping homeowners in the Oakville and Burlington areas with eavestrough installation as well as siding installation and soffit and fascia installation for 7 years. We would be happy to add you to our ever-growing list of satisfied customers. When you hear someone talk about a “seamless eavestrough installation” what they are referring to is a section of guttering that is manufactured from a single continuous coil of material, meaning there are no joints in the gutter. 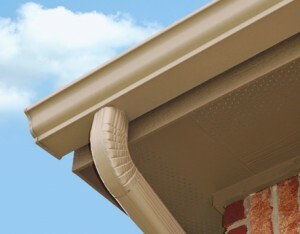 The guttering is an underappreciated yet vital part of your home’s design, carefully helping control the flow of rainwater from the roof of your home to the ground, and can help to prevent the weathering of your property’s foundations as well as your landscape. If you home’s current guttering system is worn and its condition has deteriorated to the point where it is no longer able to fulfil its role effectively, get in touch with the team at Alliance Trust Aluminum Inc. and enquire about a seamless eavestrough installation. With more than 6 years of experience, we serve the communities of Milton, Burlington and Oakville, offering professional grade solutions that protect your home, while enhancing its aesthetics at the same time. Why Opt for a Seamless Eavestrough Installation from Alliance Trust? Say “Bye-Bye” to Leaks – Eavestroughs that are made up of sections, which are jointed together using seams, are prone to leaks, since these seams are “weak points” in the design. This could allow water to escape from the gutter, which could eventually damage the siding on your home, damage your home’s foundations and affect the condition of your yard. A seamless eavestrough installation is not actually completely free of seams, but owing to the reduced frequency and placements of the seams, the threat of leaking water is all but eliminated. 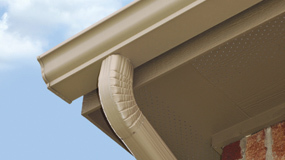 High Quality Materials – We only install seamless eavestroughs that are manufactured from the highest quality aluminum, which is renowned for its ability to endure harsh weather conditions (perfect for Milton, Burlington and Oakville) and is extremely low maintenance. Each seamless eavestrough installation that we complete will never need to be repainted and there is a huge range of different colours available, ensuring you find the perfect match for the rest of your home’s exterior. Whether you own a residential property in Milton, Burlington or Oakville, or your business’s commercial space is experiencing problems with its eavestroughs, get in touch with Alliance Trust Aluminum Inc. today. The skill, experience and professional attitude that we possess will guarantee that your requirements are not just met, but exceeded. seamless eavestrough installation at Alliance Trust Aluminum Inc. Call Today!